Remember when I posted that neat flash movie about the size of tiny things? Well, here’s a different one that includes the larger objects, such as the whole freakin’ universe. Neato. How tiny are these tiny things? 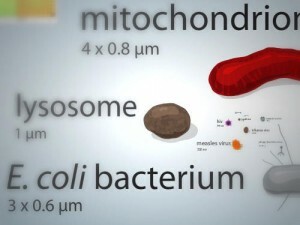 This little “Cell Size and Scale” flash app is neato. I like how 12 pt Times regular is the “large item’.